Have You Lost Sight of Your Company's Core Values? Have You Lost Sight Of Your Company’s Core Values? As a business owner, there may be nothing more frustrating than seeing an employee defy (accidentally or on purpose) your company’s core values. But maybe what is obvious to you isn’t as clear to your employees, especially if they’re new to your organization. Not everyone knows what is in bounds and out of bounds at work. By spelling out what your company stands for in a list of core values, you can make it clear how you expect your team to behave at work. Here is how to develop your core values and make the most of them while running your business. Committing your core values to paper will help you get clearer on what your company is all about and, in turn, make it easier to convey that to your team. 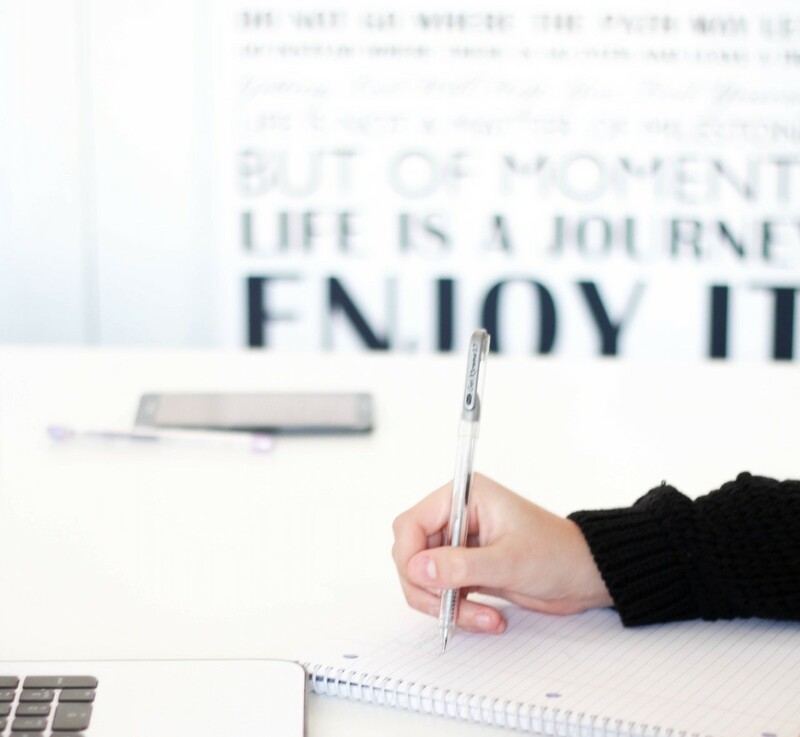 To begin your list, think about why you started the company in the first place, what you hoped to accomplish and how that has evolved since your launch. What values are reflected in your answers? Also consider what type of workplace environment and vibe you want to create, what type of behaviors contribute to it—and what practices you never want to see cropping up in your workplace. Look for the underlying messages about your workplace values in the answers that come to you. 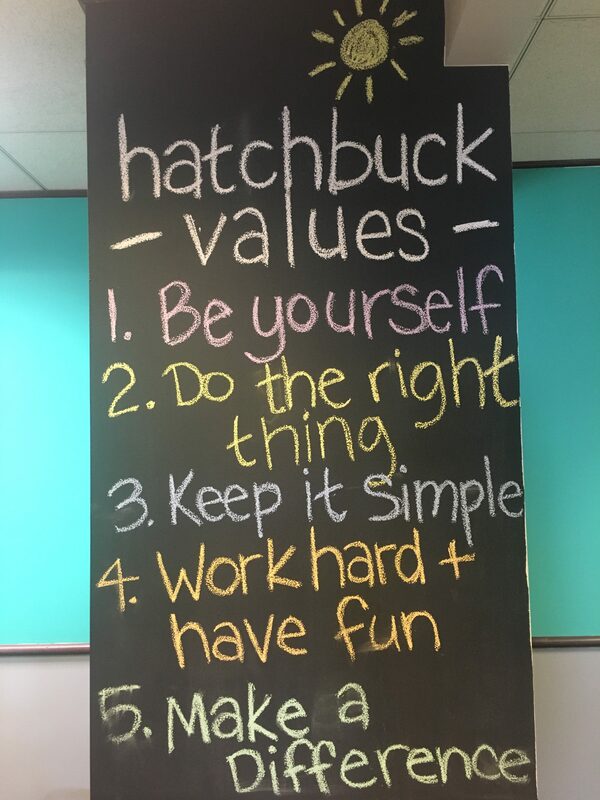 We went through this exact process here at Hatchbuck, and I recently had a chance to chat with WorkXO about the process and the importance of a strong workplace culture. As you answer these questions, start a preliminary list of your core values that represent what you stand for. Don’t worry if the list is long. You’ll have time to edit it later. Many companies start out by listing about 20 core values, then break out the red pencil to winnow them down. Having too many core values will make it hard to embrace any of them, so cross off any that aren’t mission-critical and look for ways to combine similar values into a single one. Don’t try to tackle the editing alone. As the owner of the company, you may have a different sense of which values really matter in your workplace than your top lieutenants do. Ask them to look at the list you’ve created with brutal honesty to see if they have a different perspective. Are there any values that are aspirational at this point, but not really acted upon? If so, cross them off the list. It will be obvious to both employees and customers if you are not practicing what you preach. Once you’ve pared the list to less than 10 core values, ask other team members to weigh in and help you narrow it further. That should help you get to five or six final ones. Core values won’t do you much good unless all of your employees know what they are, take them to heart and live them out daily. Posting them in key locations, such as your conference room and on your website, can help reinforce them, but that doesn’t go far enough. Make it a practice to refer to your core values when making key decisions in your business. Let’s say one of your core values is “Be kind.” If you need to give negative feedback to an employee who is under-performing, you might ask yourself how you can handle the situation in a kind manner—without undermining other values. Your core values can also help you say yes to the right type of business and no to the wrong kind. Perhaps you run a professional services firm and clear communication is one of your core values. If, for instance, a client does not communicate clearly about the requirements of key projects and it is stressing out your team, you might want to consider “firing” the client and looking for a replacement client who does a better job of communicating expectations. It can be tough to make decisions to turn away business, but with your core values as a compass, it will be easier to make the right call. Core values are not meant to be static. You’ll probably need to adjust your core values to reflect your growth as you scale up. One sign that it is time to revise your core values is when you find yourself dealing with challenging situations that none of your core values seem to address. Fortunately, once you’ve gotten into the habit of relying on your core values to make decisions, you’ll probably come to enjoy updating them—so they can help you lead your team in growing your business. Customer Churn: Everyone Hates It, But Can You Prevent It?